Once upon a time, bicycles were the most-used mode of transportation on the streets of Hanoi. Now it's motorbikes. There are some cars, and I fear for the day they take over Hanoi, but motorbikes dominate the streets by far. 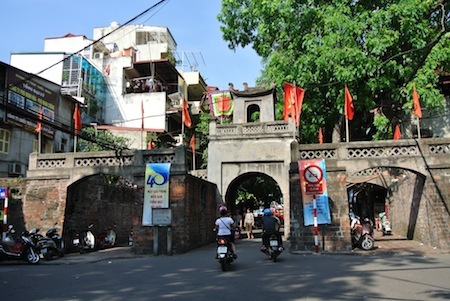 Hanoi has some sidewalks in some areas of the city, but it is definitely not a walkable city, and although there is a prominent bus system, public transportation is still developing. Some people do still choose to cycle as a mode of transportation, but that endeavor seems a little too life threatening for me. So, I drive a motorbike. The idea of learning to drive in a sea of bikes through a developing city seemed quite scary when I first decided to rent a bike, but it's also pretty cool. Don't get the wrong idea, these are not motorcycles – they would be called mopeds in the U.S. No one drives fast through the city – nor are they able to – so a motorcycle would lose its appeal even if they were widely available. Driving a motorbike equals freedom for me, just like when I passed the U.S. driving test and got my first car. You can get anywhere you want in the city and you enjoy an important part of the culture of Vietnam. 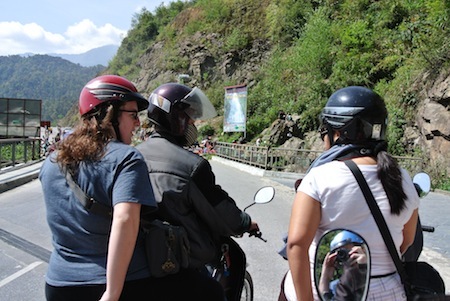 Not only are motorbikes used for everyday transport, but they also offer a fantastic opportunity to really see Vietnam. 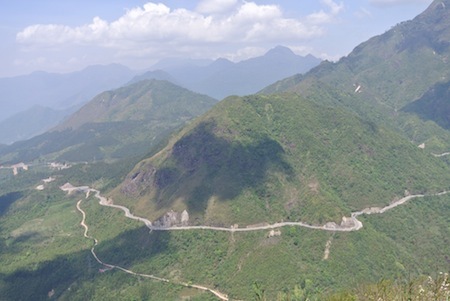 Motorbike trips are very popular and I plan to embark on one of the most famous routes this summer – the loop near the China border from Ha Giang. We plan to take a longer trip starting in Sapa, heading to Ha Giang, and then visit the famous Ban Gioc waterfall before returning to Hanoi. This trip is meant to have some of the most breathtaking, mountainous views of Vietnam. Driving a motorbike can be quite scary and is not for everyone, but it's worth riding with people around the city to determine if you can muster the courage to drive one yourself. Samantha is a Teach English in Vietnam participant with InterExchange Working Abroad.